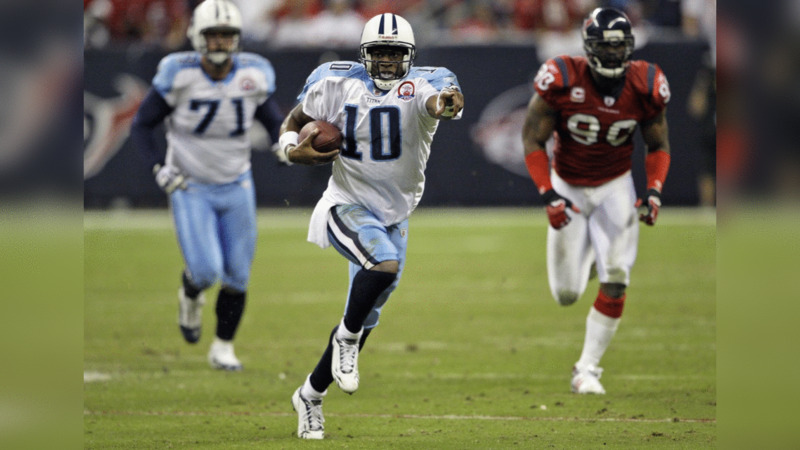 NASHVILLE, Tenn. – The Titans face the Houston Texans on Sunday at Nissan Stadium. The Titans are coming off a 27-20 loss to the Miami Dolphins. The Texans, meanwhile, are coming off a 27-20 loss to the New England Patriots. This week, I caught up with John McClain, who covers the Texans for the Houston Chronicle. You can follow John on Twitter @McClain_on_NFL, and join over 135,000 others. Wyatt: Well John, the last time the Titans faced Texans quarterback Deshaun Watson, he threw for four touchdowns and ran for another in a 57-14 Houston win last October. Since, he’s had surgery to repair a torn ACL, and he’s one game into his second NFL season. After seeing Sunday's game against the Patriots, how close is Watson to being the guy the Titans faced last year? McClain: Watson was terrible in the first half at New England, and he looked like a quarterback who spent the offseason rehabbing an ACL and playing very sparingly in the preseason. Last year when he played at New England in the third game and played great, he had had a full offseason and he had played in every preseason game, and half of the first game, all of the second game. Against New England he was just rusty. His passes were off, and he held the ball too long. The pass protection, with four new starters on the line, it struggled. So he was totally out of sync. Bill O’Brien is all about fast, fast, fast, and get to the line of scrimmage, and get the ball out. They did better in the second half, but their offense looked discombobulated. Watson looked incredibly rusty. Wyatt: The Titans signed tight end MyCole Pruitt off of Houston’s practice squad. He’s obviously not replacing Delanie Walker, but he’ll be in a group of guys who will try. What can you tell me about his skill set? McClain: Mike Vrabel knows Pruitt very well because he was on the practice squad. He’s got good size. To me he looks more like an H-back than a legitimate blocking tight end. He works hard, he has some talent. They’ve had him here a couple of times on the practice squad, so a team that needs a tight end, Vrabel is familiar with everything about his ability and what kind of person he is. He’s a really hard worker, and teammates will like him a lot. Wyatt: Vrabel is a guy you’re very familiar with. How do you think he’ll do as a head coach in Tennessee? McClain: People have been saying Mike Vrabel was going to be a head coach since he was midway through his playing career in the NFL, with the Patriots. When Mike was here as a linebackers coach, Bill O’Brien used to tell me what a great coach he was, and how he was going to be a head coach. He had people interview him for defensive coordinator. The Rams were going to interview him for their head coaching job until they interviewed Sean McVay, and they offered him the job on the spot. So Mike has had head coach written all over him. He’ll make first-year head coaching mistakes, but the key is I think he’ll learn from them. Players respect him – he still looks like he could play. He is a commanding presence, and he has charisma. He is a strong leader, but he will kick his players’ butts when they need to be kicked, but he’ll also praise them and let them know when it is his fault. And I don’t think he’ll make any excuses. … I also think he has a really good coaching staff, starting with (OC) Matt LaFleur, who was here under Gary Kubiak, and is very highly respected. I tell fans who are frustrated with that first loss: Be patient. No season has ever been won on the first game. Just be patient and give Mike Vrabel a chance because he is going to be successful. Wyatt: Losing to the Patriots is nothing to be ashamed of.  What are your thoughts about the strengths of the Texans, and what are areas of concern after Week One? McClain: Their biggest concern will be: How long does is take Watson to get back to where he was last season? Is he going to need 2 or 3 more games or is he going to be able to do it quicker? He took the blame after the loss. He knew that he held the ball too long, and he knew he was off target with his passes. But as bad as the passing game was in the first half, they lost by just seven. In the first half they couldn’t get close to Tom Brady, but in the second half nose tackle D.J. Reader hit him three times and sacked him twice. J.J. Watt knocked him down twice, and created one of Reader’s sacks. Based on what we saw in the second half, Watt looked so much better. Jadeveon Clowney, who didn’t participate in anything this offseason because he was rehabbing a knee injury, he didn’t do squat. And Whitney Mercilus, who missed 11 games last year, he also looked like a guy who needed some playing time after missing the preseason. Their front seven was not good overall. Reader was, Watt was. Their inside linebackers are good and their DBs played really well. One thing the Texans did well that I was surprised by is they ran for 167 yards. Also, their DBs played well, especially Kareem Jackson and Tyrann Mathieu. … Their offensive line did a good job of run blocking but was awful in pass protection in the first half but got better in the second. And their return game … was a weapon for the first time. Wyatt: In your mind, how will the AFC South shake out? McClain: Right now, there is a three-way tie for last place behind the Jaguars. … I think if Jacksonville beats New England this weekend and gets revenge from the AFC Championship Game, and starts 2-0, then everybody is going to take them as a legitimate Super Bowl contender. But I am not backing off my pick in the Houston Chronicle Sports section in August, in which I picked the Jaguars, Texans and Titans to all make the playoffs from the AFC South.